We offer custom framing at our store. If you have a painting or picture that you would like to have framed, come see our huge selection of intricate, modern, and antique frames to add glamour to your home. Adding custom framing to your images make it more personal to yourself. All custom framing are conducted in-house, located in our basement to ensure your items are protected and service is both efficient and convenient for you. Services are given by a professional framing consultant who has been in the business for over 30 years, so please don't hesitate to come by with any questions or consulting, or just to get a quote with no commitment!! CLEARANCE SALE ON READY MADE FRAMES!!! UP TO 40% OFF!!! If you are looking for simple and ready made framing please check our stock in the basement as we have a variety of sizes and colors all of great quality! 40% off 9" x 11" and smaller, 20 % off 12" x 16" and larger ready made frames, and we have ready mat in stock as well, hundreds of colors and standard sizes. Need a non-standard size? We can CUT TO ORDER ! We also have a variety of glass available in different quality from conservation clear to museum quality and reflection control (99% tru vue!) all cut to order! Furthermore, we have canvases in standard sizes (non standard sizes can be cut to order). We also offer beautiful custom framing at discounted prices after attending our Paint Party - Paint N' Relax or Kids Art Class - Paint N' Cookies sessions so that you may complete your masterpiece with a finishing touch! We also now offer same day custom work on select in-house molding & select framing. 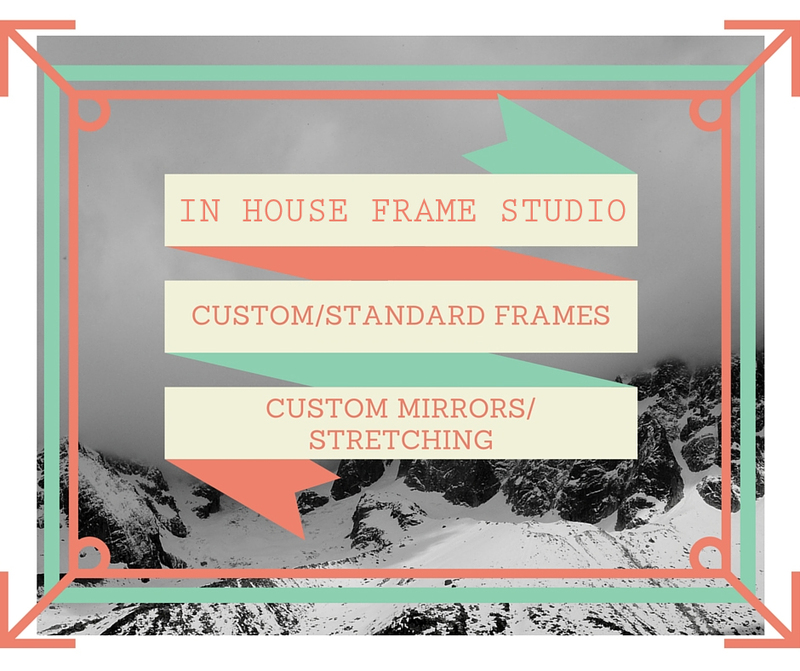 Inquire about what we have at our custom framing counter. The Art Station - Picture Frame shop in Brooklyn NY is ready to take your order! The Art Station is Brooklyn’s one-stop shop for all things art. 15% off on all art and craft supplies!